Bathabile Mpofu beat 24 000 entrants when she won the 2016 Total Startupper of the Year. Her prize-winning creation, ChemStart, is a science kit that offers high school learners a fun experiment per week for the whole year. Salwa Southgate, a history teacher at Trafalgar High School in old District Six, is the recipient of this year’s Stella Clark Teachers’ Award. 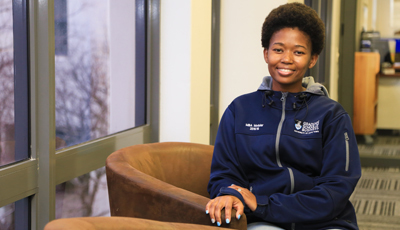 She was nominated by a former pupil, Lameez Hendricks, who is currently a first-year BSocSc student at UCT, but only thanks to her continued motivation: "If you want it bad enough, you fight for it. And if you really want it bad enough, you will get it."